Alphabet’s YouTube is going to double the rate of its high-impact fixed homepage advertisement to Rs 1.4 crore from Rs 70 lakh a day at present, The Economic Times reported. The move comes as the social media platform’s monthly active users (MAUs) reported a significant jump. “YouTube is now reaching 120 million users a day with over 1 billion impressions. Few media vehicles can deliver such reach in a day,” Amardeep Singh, CEO at Interactive Avenues, the digital agency owned by IPG Mediabrands told the paper. As per the industry consensus, YouTube reaches 250 million MAUs, Facebook has 220 million, Instagram touches around 68 million, while Twitter’s MAUs have gone up to 30.4 million. Facebook and Twitter have also been hiking advertising rates, the report said. “If you take FB, the news feed ads now costs over 100 percent compared over last year,” Vivek Bhargava, Chief Executive Officer at DAN Performance Group told the paper, adding that these platforms have de-cluttered the news feed and timelines so it made sense for them to push up rates. Facebook, however, has denied any rise in advertising cost on the platform and stated that the social network’s pricing is ‘transparent’ to every ad buyer. “Our ad demand continues to go up because we are getting more and more advertisers on board as we expand the business. At the same time inventory is also going up as we see more and more users on the platform,” a Facebook spokesperson told the paper. Experts told the paper that the trend of digital platforms such as Facebook, Twitter, and Instagram, raising rates between 20-30 percent annually will continue in 2019, too, as time spent by users and engagement levels increase. 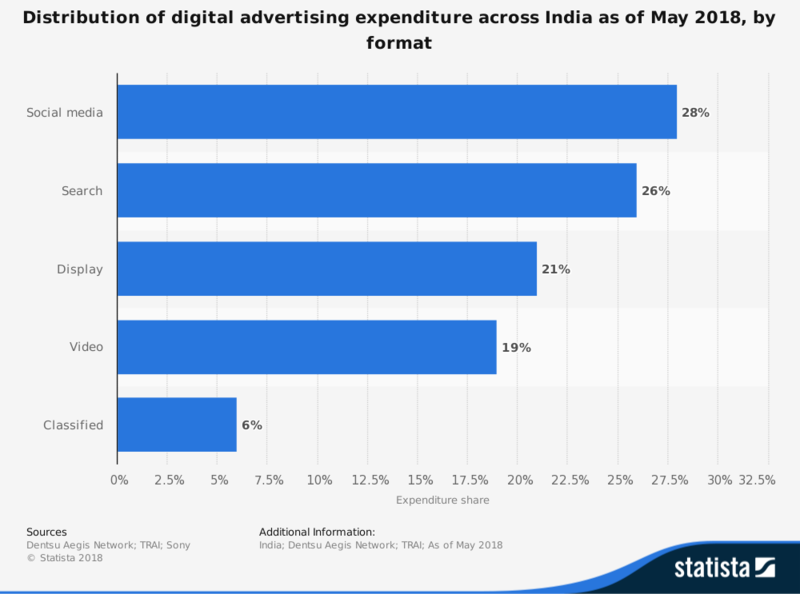 In 2018, around 28 percent of the total digital advertising expenditure in India was on social media, according to another Dentsu Aegis report on digital advertising in India. As of now, a basic digital media campaign reaching 1 billion impressions –the total number of views — costs around Rs 3 crore according to a rough industry estimate. 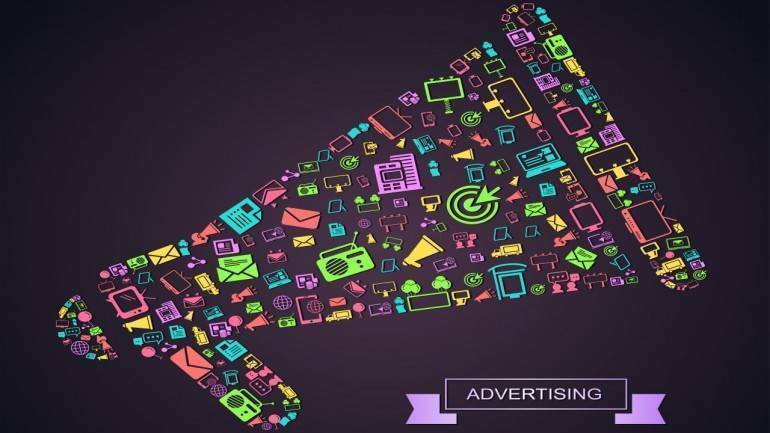 The advertising industry is currently estimated to be Rs 55,960 crore and expected to grow at a compound annual growth rate (CAGR) of 32 percent to reach Rs 18,986 crore by 2020, according to the Dentsu Aegis Network-e4m Digital Report. 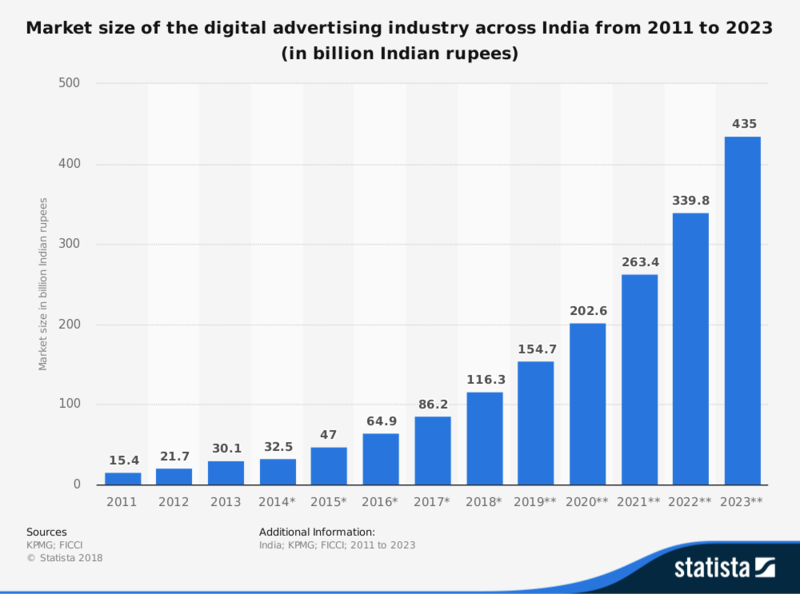 The digital advertising industry across the country has been growing rapidly. It had a market size of around Rs 11,630 crore in FY18, up from about Rs 4700 crores in FY15, according to a KPMG report. Industry leaders told the paper that the players are bound to jack up prices since digital is becoming an important part of the media, given the rate of digital penetration and adoption. According to the Dentsu Aegis report, digital is expected to be the fastest growing medium of the advertising industry and may account for 24 percent of the overall industry pie by 2020. “Digital media spends currently contribute to 15 percent of the total advertising industry and are expected to reach 24 percent of the entire market by 2020,” the report said. Whose money are you spending?